What’s next for Bob Bradley? Well, sources say Bradley has been engaging in continued talks recently with 2018 MLS expansion team LAFC, which has yet to hire a head coach ahead of its debut. That doesn’t guarantee that LAFC is where he’ll end up, but it’s worth noting that Bradley held talks with LAFC prior to his move to Swansea City, an 85-day tenure he detailed on the Planet Futbol Podcast, and on Wednesday in The Players’ Tribune. Bradley is also open to coaching in Europe again, not least because he felt Swansea didn’t give him the chance to have a transfer window and cut his time short. Everything is still on the table at this point, one source says, though Bradley said in late December that he would like to go someplace where his experience and vision fit the club. Bradley has coached in Los Angeles before, guiding Chivas USA in 2006. 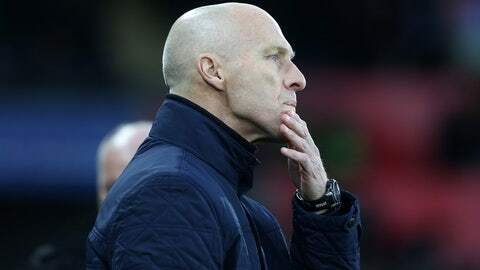 Speculation swirled in the immediate aftermath of Bradley’s ouster at Swansea that he was in talks regarding the Norway national team job, but he downplayed those reports and that vacancy was recently filled by Lars Lagerback.